The first two weeks are devoted to taking classes and the teaching and coaching of the repertory. Learning classical and contemporary masterpieces in such a short time period, and performing them in New York City, provides the dancers with a real-life experience of what it means to work in a first-class ballet company. 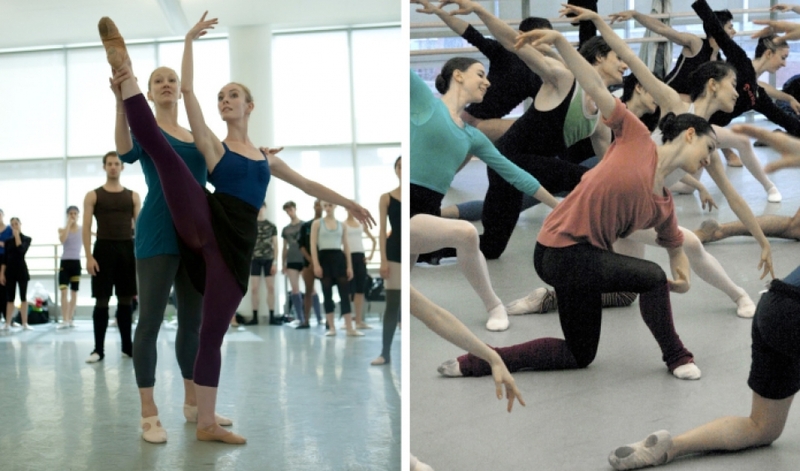 NYIBC participants live and work together during their three-week stay in New York. This gives them the opportunity to see what’s happening technically around the world and learn from each other in a highly collaborative atmosphere. When they come to NYIBC, they must bring a strong technical base with them. The judges and the audience look for the artistry that goes with it. The performance rounds take place during the third week of NYIBC in the Rose Theater at Jazz at Lincoln Center. The participants perform for the public and the illustrious panel of judges. NYIBC participants have to be fast, accurate, concentrated, exact and immersed during the period they learn the repertory and while they are being coached so that when they get to perform onstage, they have the intensity and the artistry that captivates the audience and the jury. Although participants apply as couples, they are judged on an individual basis. All participants perform exclusively with the partner with whom they apply. All dancers invited to participate in NYIBC must compete. Eliminations are made after each round. Dancers must participate in all rounds unless both partners are eliminated and, if chosen, perform in the Gala Performance. The opportunity to perform and be discovered exists for all participating dancers. NYIBC builds a community among the participants: they support each other through the process and in the performance rounds. Even if eliminated, they must still come to class every day and continue to dance with their partner. In the studio and on the stage, NYIBC provides an unparalleled venue for company directors to see young talent first.